This project was undertaken directly between the shopping centre, wholesaler and Wirefield. 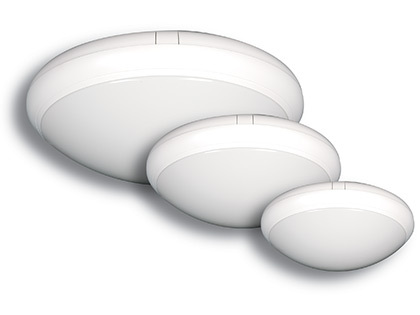 Wirefield’s dimmable ‘EYE’ luminaires had been specified and successfully installed throughout the back of house stairwells over the previous 3 years. The site was, therefore, familiar with the quality and reliability of the Wirefield product. On the back of this, a close working relationship between the wholesaler and the Management Team on site gave Wirefield the opportunity to demonstrate the EYE-WI wireless lighting system. In August 2013 Wirefield met with the Centre Manager and Technical Services Manager (TSM) to present options and discuss solutions for relighting the Castle Mall car parks. It was determined that the centre had looked at various proposals but it had not been possible to achieve the strict criteria required by the management team. 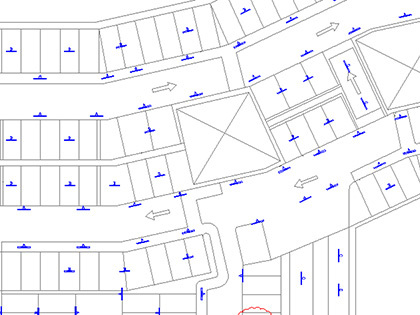 Namely, grouped operation of lighting, a payback under 2 years and not requiring a costly rewire of the car parks. Wirefield presented case studies of other sites which had used LED and T5 solutions along with an indicative proposal of the Castle Mall site. This illustrated a £120,000 saving if the site went ahead with a T5 solution rather than an LED offering. The payback was around 2 years versus around 4 years with LED. When T5 fluorescent lighting had been agreed with the site the next stage of the discussion was regarding control. Wirefield presented options based on the technology the site had previously used in their stairwells. However, while this fulfilled the criteria of energy saving and not requiring a rewire there was no ability to control lighting in groups. Therefore, a further meeting was arranged to demonstrate EYE-WI wireless technology. Wirefield demonstrated the ability to link fittings together without a hardwired connection, control ramps, driving aisles and bays separately and crucially avoid a rewire of the car park. In addition, monitoring of emergency lighting and recording of occupancy data helped to prove the system to the site and allowed the specification to move forward. There were no drawings of the car parks and therefore Wirefield surveyed the site to provide luminaire counts and indicative drawings. These drawings would be used by the installing contractor, for commissioning and ultimately the centre management. The layout of the fittings was not uniform across the car park resulting in a chessboard effect in certain areas. The Technical Services Manager (TSM) was very keen to see what could be done to provide uniform light levels across the car park decks. Designs were undertaken to prove that fitting numbers could be reduced by around a third, comply with CIBSE guidelines and still improve the light level. 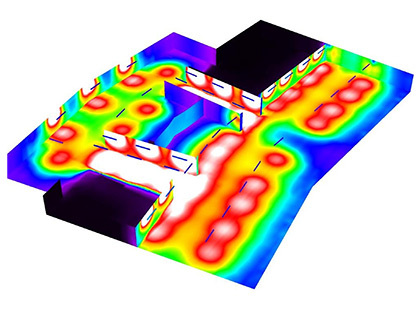 The design process standardised the fitting layout and types for the different car park areas – 2x49w T5 fittings on the car park ramps, 1x49w T5 fittings in the driving aisles and 1x28w fittings in the back of the bays. 2x55w PL rated drum style fitting were installed. Diffusers were UV damaged and cracked. A number of fittings were coming loose from their fixings and their integrity was beginning to fail. Ballasts and lamps were failing. Replacing lamps and ballasts was costing the site over £20 in materials alone per fitting. The centre management had ambitious energy reduction and site improvement plans. EYE-WI system features allowed the management team to discuss occupancy in a far more detailed way with their clients. The site was offered a retrofit solution where existing bodies could be retained. Whilst this was attractive in terms of cost, the age of the fittings was not suitable for this solution. In addition, the site maintenance team would have had to complete the install. Furthermore, LED tubes could not have fulfilled the dimming and integral emergency requirement. Wirefield countered this by partnering with a local contractor to provide an installed price for the EYE-WI system. The site was offered a fully hardwired DALI solution. DALI could have grouped in large areas with remote sensors, it could not have provided moving groups of luminaires around each sensor so that the light follows you as you walk / drive. In addition, fears of recommissioning in the event of a ballast failure and integration with the existing BMS meant that the features of the EYE-WI system continued to present favourably. The final Wirefield proposal and solution was offered in March 2014. Fittings reduced from 1267 to 916. An ‘installed price’. By partnering with a contractor who understood the wireless system Wirefield was able to deliver the solution promised. A final meeting involving wholesaler, contractor and manufacturer determined an achievable 8 week timetable with regular deliveries ensuring the car park was able to remain open with minimal impact on the customer experience. An October electricity invoice confirmed that the site was achieving a £9,000 monthly saving year on year and fully in line with the projected savings. The installation was completed within the 8 week period over June and July 2014 and fully commissioned in August to allow the site to begin realising the energy savings and reduced maintenance promised throughout the process. The flexibility of the wireless system has allowed floors to be reconfigured since the initial commissioning process. This has involved turning fittings off at the back of the car parking bays to increase the energy savings even further. Bay lighting is now only illuminated when required while driving aisle lighting remains at 10% even when unoccupied. This provides the optimum solution achieving the difficult balance of illuminating the car park, providing a feeling of security whilst maximising energy savings. 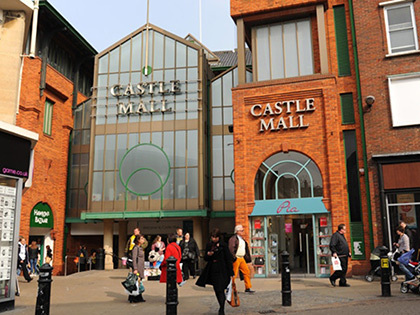 "Castle Mall has worked with Wirefield to deliver an energy saving and aesthetically pleasing solution in our Car Parks and back of house. Not only are the utility savings immense but also the maintenance costs have vastly reduced. We are exceptionally pleased with how the project has been delivered and look forward to continuing this work within the main shopping Centre malls."